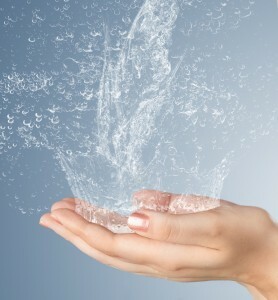 Do You Need to Have a Home Filtration System Installed to Solve Problems with Your Water? A home filtration system that is installed at the point where water enters the home can provide an effective solution to problem water. Those who have a public water source may wonder if water filtration systems are necessary for them, since municipalities strictly regulate the quality of the water they distribute through their communities. While the Environmental Protection Agency has rules in place to ensure that city and county tap water is safe to drink, municipal water can still contain contaminants at low levels which are legally permissible but can affect the overall quality of the water. Additionally, municipal water can contain additives such as chlorine which serves the very important purpose of decontaminating the water before it reaches your home, but it is not necessary for this chemical to remain in the water once it is inside the home. As such, many homeowners find that a home filtration system can remove chlorine and other additives from their water, to provide the household with better quality water. Those on private wells may wonder if a whole house water filter could benefit them, since the water source is right near the home, and would not contain additives from a public water facility. Because private well water is not regulated by the government, it can actually contain more contaminants than city water. So, really anyone can benefit from having their tap water filtered by problem solving water filters, especially a filtration system manufactured by RainSoft. As a leader in the water treatment industry, RainSoft can perform a complimentary, professional in-home water test to determine the best course of action to treat your water and provide a recommendation on the best home filtration system for your specific water issues. To learn more, contact your local authorized RainSoft dealer today.